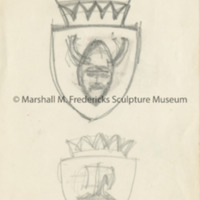 Sketch of shield featuring a viking and viking ship with crown atop, possibly for DIADEM medallion. 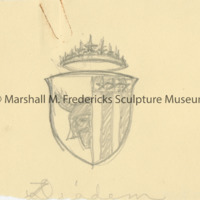 Sketch for DIADEM medallion featuring viking and crown on a shield with stripes and stars. Possibly unrealized.